Marquee IT has locations in Idaho and Utah but remotely serves nationwide. Marquee IT, LLC is headquartered in Post Falls, Idaho with another office in Lindon, Utah, and was founded in 2014. The company's vision and mission are to maintain their business by keeping customers "happy and completely satisfied." Consumers have the option of selected one of three monthly care plans and one of four service plans. 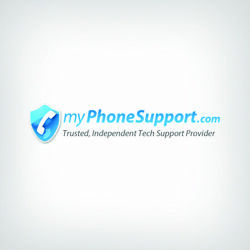 Monthly Care Plans range from $14.99 to $34.99 per month and include features such as Panda Antivirus Pro, unlimited cloud backup, safe web browsing tools, and more. Service Plans are one-time repair packages that range from $50 to $250 and offer features such as malware removal, spyware removal, and internet browser issues. Those looking for a business plan must request a quote from Marquee IT, who will then be contacted by a representative. Marquee IT can serve businesses in Northern Idaho, Eastern Washington, all of Utah, and can offer remote assistance to Canada. 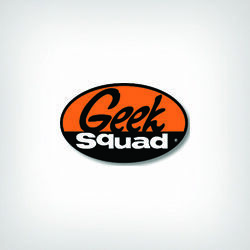 Aside from typical tech support, Marquee IT offers services in constructing custom computers, website & logo design, and local dropoff for Post Falls, Idaho and Lindon, Utah. 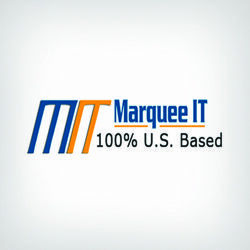 For custom computers and website & logo design, customers must contact Marquee to obtain a quote. Marquee IT states on its website that they will "provide a 7 day money back guarantee and a 30 day warranty on any work provided." Marquee IT doesn't specify whether the company only works on Macs, PC's, or both. There is also no additional information on additional devices such as smartphones or televisions. Many tech support companies will offer a 30-day trial of their services so customers can see if their company is a good fit for them. Marquee IT does not offer any of those services. Overall, Marquee IT looks to be a company intently focused on customer satisfaction with a 30-day satisfaction guarantee on services. The company is also upfront on prices and features for services and care plans. There is a lack of details in terms of what devices the company covers and there is no free trial for their services, but Marquee IT's focus on customer service and reasonable prices are something to strongly consider. After using your "clean up" service on line, my computer functions and programs were so corrupted I could not work on it. Spent hours and two days trying to fix their fix as well as needing to buy several up dates I don't want nor can afford. Today, 3 days later, still finding problems i.e. just discovered I have NO sound. If I were to charge for the my time and expenses...$1,300.00 How are premiered to compensate me? Or do I need to call my attorney? This company should be closed down. They scammed my mother. They call back every few weeks and try to scam her again. I've told them in forceful language not to call again but that doesn't stop them. I want them to leave her alone. If I could give this company 0 stars, I would. Predatory company that misrepresents themselves, and CLEARLY stalks the elderly for their prey. They scammed my 76 year old mother, misrepresenting themselves as Norton, hi-jacked her computer, jacked it up, and CHARGED her money. Thank GOD, my brother, in Federal law enforcement and myself were made aware. If you EVER see Marquee IT show up on your caller ID - HANG UP THE PHONE! SHAME ON YOU!!! Now, the fun begins after cancelling all of her banking accounts and reporting the fraud you did. If dealing with Marquee IT be careful, they are not to be trusted. When asking for help from my Server, Brad, an employee of this company hacked into my computer, told me I had three separate malwares and that was why I could.t access my e-mail. An offered was made to remove the problem for $199.99. I paid the amount because I thought I was dealing with my Server but didn't know it was an American company and as a Canadian I had to pay duty on the transaction . I gave Brad access to my computer and or one of his flunkies who wiped my hard drive clean. Very valuable information was removed which couldn't be recovered as I had not backup prior to deleting the malware. Brad told me it wasn't necessary as they were only removing the malware. After I complained to the to the general manager who said I was insulting and could no longer help but he finally agreed to refund half of my payment. I can say a lot more about the vindictiveness of this company but because of time and space I will finish with my warning, be very careful when using the internet it is like the Wild West of the early 1900's! I'm really satisfied with this company. I'm 84 years old and I know nothing about computers. I filled out a form online and they contacted me immediately. They connected to my computer and within seconds they found the problems I was having. Yes it wasn't free to fix it (I paid 200$) but my computer runs better and whenever I have a problem i can call them and they have been very patient and understanding with this old man. I highly recommend it. I dont know why there are so many negative comments in here. It looks like its mainly from relatives that are upset their parents/grandparents made such a purchase. I know my daughter would be upset if I told her but it's my computer and my money and Marquee IT did a great job. Trust me you wont ne diappointed! Here is their latest trick to get customers. My parents are over 80 years old. They got an invoice, which looked like an Apple invoice. Containing a purchace about 20 dollars, they had never done. So in this email with the invoice they clicked on the blue "click here" on following sentence "If you didn't make this purchase or if you believe an unauthorized person is attempting to access your account, click here to cancel your purchase." They did and suddenly there were in contact with Marquee IT. Result: these guys send so called apple invoices with phishing content to generate customers. For 200 dollars they installed panda antivirus (value 17.49 USD) and all the other services they listed can easily be done within 5 minutes by a lot of freeware which is available in the internet. At the end they play with the fear of old people and take money for nothing. Recommendation: book the money back immediately and cancel the contract even you haven't seen a contract. We are pretty sure that nothing will happen after that. My name is Beate Oelkers. Fantastic company, great service, very kind, and through. The negative reviews on this site are all just liars on this. An update on the following review: The owner of Marquee promptly responded to my complaint. He listened to the conversation in question and apologized for his employee's impatience. He didn't fire Casey, but arranged for him to receive more training. I was more than satisfied with the owner's apologies and subsequent actions. I reallt wouldnt want someone to be fired for one incident. The following happened: My husband called Marquee to get help because of an annoying pop-up on our computer. After the cleaning and the installation of Panda, the pop-ups still continued...plus the computer was slower than ever. We finally had to give up and buy a new computer. When we called to cancel the monthly charge, Casey was very defensive. Instead of listening, he tried to get us to continue to pay the monthly charge and was angry because my husband hadn't done everything he had asked him to do, such as purchase a flash drive and new hard drive before giving up. He turned our conversation into an adversarial one, when we only wanted to explain what we had experienced. He ended up saying he would cancel the monthly charge. He then hung up on us. In this conversation -- the only one to which I personally was privy -- Casey was unprofessional and rude. It was a very negative experience. This sham of a company is preying on the elderly. They duped my 94 yo mother-in-law into paying 199$ for so-called malware removal, when there was nothing wrong with her computer. When we tried to contact them, their customer service number repeatedly hung up on us. Good thing is we have fraud protection on her credit card, and we got the credit card company to get the money back. Beware of Marquee IT. Great knowledgeable techs, you'll notice most negative reviews aren't from actual customers. They are a good honest company that does right thing and does good work, they included a 1 year subscription of panda anti virus pro with my computer cleaning which i really appreciated. Much fast and cheaper than when I've gone to best buy's "Geek Squad" or some local tech who only knows how to reset a computer to factory settings. We have an 80-plus year old customer who was talked into purchasing their "service." Buyer beware ... it's all about sales, and inept service by SALES people; not techs. My mother has Alzheimer's. We found out she signed up for their service but she has not used a computer for almost an entire year. My mother was always being scammed. 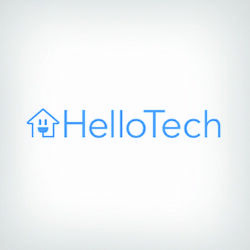 Y a ton of these internet fixer type tech companies. When we asked for her money back, exolauning the situation, no go. Only refunded this month. Buyer beware. Look on their Facebook page. All these reviews exist warning people of them . They did nothing but they received money from my poor mother for a year. This company is a giant rip off. Here is exactly what they will do if you contact them for support. A trained sales person (acting as a technician) will call you back and remotely connect to your computer. I highly advise that you do not let them do this since they will have access to all of the personal information and data stored on your computer once you accept the remote connection. You don't know them, so why would you trust them as apposed to any hacker? Once connected they will search around on your computer for anything that could potentially look like malware. Keep in mind that these are SALES people with no legitimate tech experience. Once they find anything that may look suspicious they will use that to scare you into buying their over priced support plans. They will tell you that other places are way more expensive, which is a lie. Again I would like to stress the fact that if you are talking with them you are NOT talking with a trained technician. You are talking with a sales person who is paid on mostly commission. Would you trust someone who is only loyal to making money? I sure wouldn't and you shouldn't either.